Are you looking for a GREAT MAGICIAN for your private party? So you are having a party and looking for some great entertainment, then look no further. Alex is a multi-award winning close up magician who has performed at private parties for over a decade. 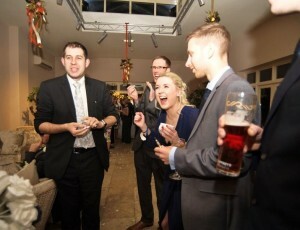 Be it a formal or more relaxed party Alex provides the best close up magic available. 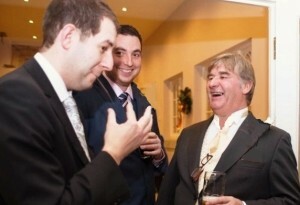 He can mingle seamlessly with your guests amazing them with his sleight of hand magic. Be it a birthday party, anniversary, Christening or Christmas party, you name it Alex can add the wow factor. Not only does Alex perform sleight of hand close up miracles, he is also a skilled children’s entertainer so can perform for any younger guests and even make balloon models. Due to Alex’s experience he offers a flexible approach and can entertain small or large groups in any venue and tailors his performance accordingly. Such cutting edge tricks include magic with cards, coins, borrowed rings, watches and having Alex is a great talking point to any event or private party. There are lots of videos of Alex in action, as well as lots of testimonials from real people who have been wowed by the magic. If there is anything that hasn’t been covered, please look at the FAQ’s page. However, if there is anything you would like to discuss, feel free to get in touch. alex@alexmagic.co.uk or 07890 217 203. Close up Magician Nottingham, Table Magician Nottingham for HIRE!